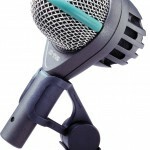 Our favourite bass drum Microphone is the AKG D112. This is the improved version of the legendary AKG D12. 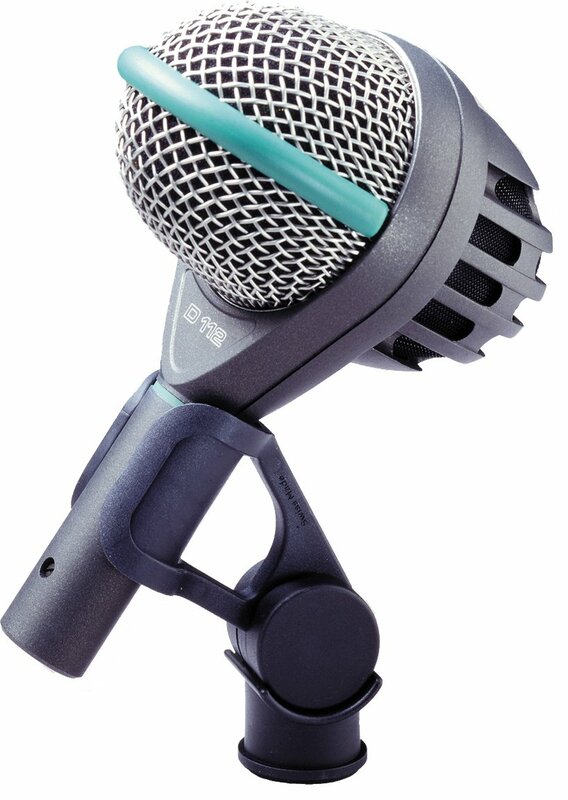 The D 112 has earned a well-deserved reputation worldwide as the best kick drum microphone ever made. Heavy-footed drummers won’t faze it, because the D 112 handles up to 160 dB SPL with no audible distortion. 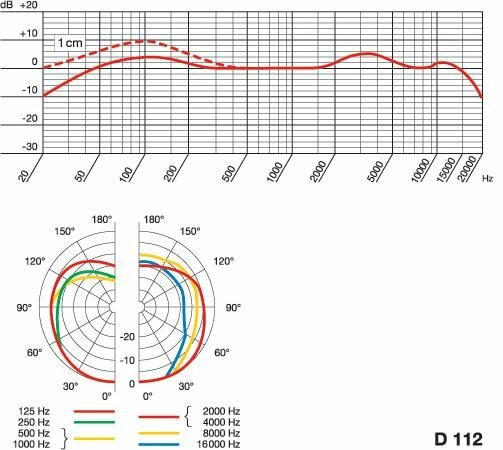 A specially engineered diaphragm with a very low resonance frequency maintains solid and powerful response below 100 Hz, while a narrow band presence rise at 4 kHz punches through dense mixes with little or no added EQ. The result is a kick drum sound that ideally balances precise definition and forceful impact. 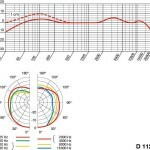 The D 112 is also an excellent choice for use with bass cabinets, trombones, etc. For hire costs and other available microphones please refer to our Component Hire page (under Hire Price List).